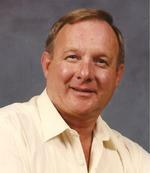 Larry R. Laurent age 72 of Ashland, passed away Friday September 16, 2011 at his residence. Born on April 29, 1939 in Akron Ohio the son of Roger and Jessie (Killinger) Laurent. He had been an Ashland resident most of his life. On September 9, 1999 he married Arzonia Drake who survives. Also surviving are one son, Buddy (Mary) Laurent of Westerville, Ohio, three daughters, Tina (Pete) Newlan of Ashland, Melissa (Jeff) Griffen of Polk and Cindy Drake of Elyria, Ohio. Mr. Laurent is also survived by twelve grandchildren and four great grandchildren. One sister, Jerry Kahler of Mansfield, Ohio and two brothers, David (Irene) Gidley of Cedarville Ohio and Don (Sun Sha) Hunt of Locust Grove Virginia also survive. One sister in law, Mary (Lawrence) Johnson of Amherst Ohio also survives. Mr. Laurent is preceded in death by his parents, two brothers, Dewitt and Jack Gidley and son, Michael Drake. He was a member of the Maple Grove Church of the Brethren and served his country in the United States Army, United States Air Force Reserve and in the National Guard. He was a graduate of the Norton High School and attended the Wooster Business College. Mr. Laurent owned and operated Larry’s Used Cars and had previously worked at the Ashland Water Treatment Plant. He was a member of the American Legion Post #88 were he served as 2nd Vice and the Ashland Eagles. Larry enjoyed spending time with his grandchildren and traveling. Funeral services will be held on Tuesday September 20, 2011 at 11:00 a.m. at the Maple Grove Church of the Brethren with Pastor Bill Schaefer officiating. Burial will follow in the Ashland County Memorial Park with military honors performed by the Ashland Veterans Honor Guard. Friends may visit with the family on Monday September 19, 2011 from 6-8 p.m. at the Heyl Funeral Home and also one hour prior to the funeral service at the church.